Responding to the convenience demands of today’s on-the-go consumer, The Kroger Co. and Walgreens Boots Alliance are piloting a new retail format that brings supermarket wares to a drugstore. The companies said Tuesday that 13 Walgreens stores in northern Kentucky will test a one-stop shopping experience that will enable customers to buy products and services from both retailers. The pilot will run over the next few months, and Kroger and Walgreens said they will close monitor customer feedback. Through the pilot, consumers initially will be able to order Kroger groceries online and pick up orders at the Walgreens stores, which are near Kroger’s Cincinnati headquarters. 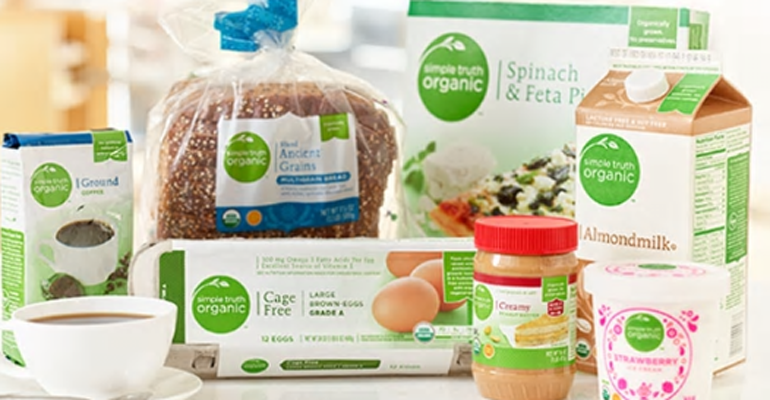 Kroger store brands, including its Simple Truth natural and organic label, will be among the products available. The retailers said the grocery shopping assortment from Kroger will complement the health and wellness, pharmacy and beauty products and services already offered at the Walgreens stores. As digital shopping has escalated, Walgreens has tried various retail concepts to help drive customer trips to stores, including online photo services with in-store pickup, the creation of in-store beauty boutiques in about 2,000 stores and the rollout of Federal Express package drop-off and pickup sites. The latter are slated to be in nearly 8,000 stores by this fall. And last month, Walgreens expanded a pilot to offer Sprint Express outlets in another 80 stores. The drug chain, which includes the Duane Reade banner, has more than 9,800 stores across the United States. The Kroger-Walgreens pilot also comes in the wake of other mass retail/pharmacy chain deals. In December 2015, for example, Target Corp. closed a $1.9 billion sale of its 1,672 pharmacies to CVS Health. CVS now operates the pharmacies under the CVS Pharmacy banner inside Target discount stores. This past August, Albertsons Cos. and Rite Aid Corp. called off a planned $24 billion merger that would have joined the nation’s second-largest supermarket operator with its third-largest drug chain. Rite Aid Chairman and CEO John Standley, in a May analyst event, had called the planned merger “a unique combination of grocery and pharmacy.” And in a July interview with Supermarket News, then-Albertsons Chief Operating Officer Jim Donald said of the deal, “Nobody has ever put together a drug channel play and a grocery channel play like this.” Potential crossover ideas for Albertsons-Rite Aid included offering fresh food and special-diet meal kits at Rite Aid “wellness” stores, selling Albertsons’ O Organics and other private brands at Rite Aid stores, and leveraging the smaller drug-store format to help the company penetrate deeper into urban areas and experiment with convenience-focused retail concepts.